While winter has officially arrived, the redfish havent gone into hibernation. On the contrary, they are very active. They are continuing to form bigger and bigger schools that make for awesome sightfishing. With temperatures in the 60s, fishing conditions can be quite pleasant so dont write off fishing until the spring. Redfish are schooling up for protection from dolphins. The redfishs metabolism slows down as the water temperature drops into the 50s and evading predators becomes more of a challenge. Redfish will flock to the mudflats where shallow water will offer a measure of safety. Once you have located one of these schools, they will likely stay in the same place for the next few months. While they may be slowing down, redfish are still inhaling artificial plastic lures. Lures shaped like small minnows are proving to be most effective and jerk shad in grey and black hues are the ticket. Make sure you approach these spooky schools with extra caution. Focus your casts on the outside edges of the schools; a cast placed right in the middle will often send the entire school fleeing. Trout are still present but the bite is fading and will likely be gone by the end of the month. Both jerk shad and curly tail grubs fished on jigheads are producing well. Darker colors work great here too. Trout have begun to become somewhat sluggish. Youll want to use a really slow retrieve as you work your lures. This time of year can be a fly fishermans dream. The flyrod with its ability to softly land flies can be a real advantage. Casting to pods of a hundred or more fish in close range can make your knees weak. Weve been having the most success timing our charters around low tide when the redfish are in plain sight. Our go-to fly has been a size #2 black wiggler which has drawn some fantastic strikes. Capt. 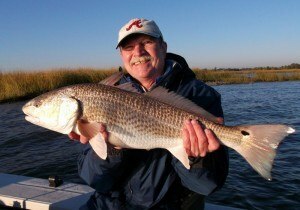 Geoff Bennett operates Charleston Charter Fishing providing fly fishing and light tackle charters. Clients choose from a full menu of fly rods, artificial and live bait fishing options with charters tailored to their desires. USCG licensed and insured, Capt. Bennett is committed to providing a safe and enjoyable charter to anglers of all skill levels and ages. For more information, call Capt. Bennett at 843-324-3332, visit his website atwww.charlestoncharterfishing.com or email him at captain@charlestoncharterfishing.com.